To minimize the environmental harms associated with parking facilities, including automobile dependence, land consumption, and rainwater runoff. Do not exceed the minimum local code requirements for parking capacity. Provide parking capacity that is a percentage reduction below the base ratios recommended by the Parking Consultants Council, as shown in the Institute of Transportation Engineers’ Transportation Planning Handbook, 3rd edition, Tables 18-2 through 18-4. Projects that have not earned points under LT Credit Surrounding Density and Diverse Uses or LT Credit Access to Quality Transit must achieve a 20% reduction from the base ratios. Projects earning 1 or more points under either LT Credit Surrounding Density and Diverse Uses or LT Credit Access to Quality Transit must achieve a 40% reduction from the base ratios. 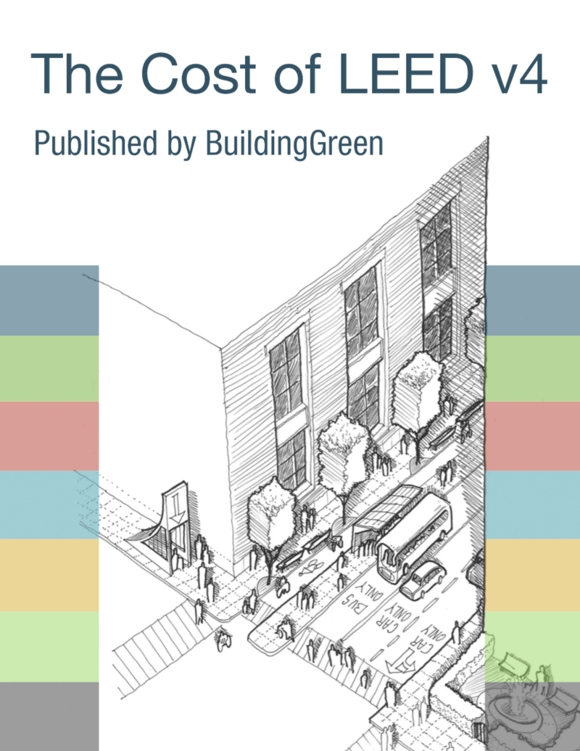 For projects that use pooled parking, calculate compliance using the project’s share of the pooled parking. Provide preferred parking for carpools for 5% of the total parking spaces after reductions are made from the base ratios. Preferred parking is not required if no off-street parking is provided. Mixed-use projects should determine the percentage reduction by first aggregating the parking amount of each use (as specified by the base ratios) and then determining the percentage reduction from the aggregated parking amount..
Do not count parking spaces for fleet and inventory vehicles unless these vehicles are regularly used by employees for commuting as well as business purposes. For European projects pursuing Case 2, provide preferred parking for carpool or shared-use vehicles for 5% of the total parking spaces after reductions are made from the base ratios. A discounted parking rate of at least 20% for carpool vehicles is an acceptable substitute for preferred parking spaces. The discounted rate must be publicly posted at the entrance of the parking area and permanently available to every qualifying vehicle. My mixed-use building contains space types that aren’t listed in the Base Ratios table in the Reference Guide. How do I calculate the base ratio for my project? Can this credit be achieved if the project has no existing parking and is providing no new parking? I don’t have a copy of the Transportation Planning Handbook. How do I determine the base ratio for my project?